Call The Tutoring Center, Southgate MI at (734) 785-8430 to enroll in tutoring classes that will provide the guidance you require to be a more successful student. In order for you to ask pertinent questions or share opinions that will enrich the class and help everyone learn better, you need to get ready for your classes. After all, it can be difficult to participate in discussions when you haven't read the material or haven't done your homework. 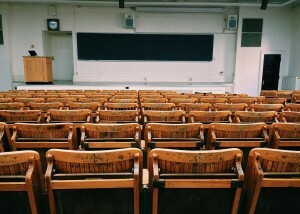 To ensure you participate effectively in your classes, make a real effort to prepare for them: complete your assignments, go over the lectures, and try to understand what your school subjects are about. This way, you will be able to jump into the conversations and actually contribute to your and your classmates' learning experience. While some students are uninterested in participating in class, others avoid doing it because they feel intimidated and nervous about it. If you fall into the latter category, then you should try to stay as calm as you can to control your nervous energy. Of course, this can be easier said than done. However, try breathing in deeply to fill your lungs with oxygen and lower your nerves. It's also important that you realize that you are completely allowed to make mistakes, and that it's no big deal if you make one when you participate. Can you imagine the chaos that would ensue in your classroom if all of your classmates tried talking at the same time, made fun of each other, and generally disregarded the normal behavior that makes society possible? For that reason, in order for your class discussions to fulfill the learning experience they're intended for, there needs to be respect towards all parties involved. For you to do your part, be sure to raise your hand and to wait for your turn to talk. Likewise, avoid yelling, laughing, being rude to your peers, or being disruptive in general. This way, you'll have an efficient conversation that will be conducive to learning. Enroll in one-to-one tutoring classes in Southgate MI to reach your goal of achieving your academic potential. Call The Tutoring Center, Southgate MI at (734) 785-8430 to learn about their academic programs, or to schedule a free consultation. A crucial part of being respectful towards your peers and teacher, is to pay attention to what they say. This serves a few different objectives. For one, acknowledging their opinions and answers helps keep a positive and encouraging environment in your classroom. Other than that, listening to them will allow you to avoid repeating their statements, and actually contribute something new but related to the conversation that's already taking place. Plus, it's likely that you would like your own opinions to be listened to and acknowledged, so why not do the same for your interlocutors? If you would like to get more involved with your class discussions, but are unsure of how to go about it, an easy first step to take would be to ask and answer questions. For starters, voicing your doubts will help you learn effectively, as you will be able to clear up any confusion. Moreover, it will help your peers learn better as well, since it may be that they share your same questions. And, if you raise your hand to answer your teacher's questions, you may help bring your grade up, and you will also be learning better, since you will be reinforcing your knowledge. Last but not least, you can participate in class with your opinions, thoughts, interpretations, perspectives, and more. If you have something to say, say it (of course, as long as it's respectful and related to what is being talked about in class). You never know who will share your opinion or be enriched by it. Furthermore, the more you participate, the more your peers will be encouraged to do it as well. As they do, you too will be enlightened by their views on your school lessons. This will result in a more dynamic, open minded, and educated classroom. Learn effectively with help from The Tutoring Center, Southgate MI. Call (734) 785-8430 to enroll in one-to-one tutoring in Southgate MI.